Willow Wood Homes for Sale | Louisville, Kentucky | Willow Wood Real Estate | Louisville MLS | Joe Hayden Realtor - Your Real Estate Expert! View all Willow Wood Homes for Sale on the Louisville MLS listings below! Willow Wood real estate is located off of Shelbyville Road and Old Harrods Creek Road in Louisville, Kentucky. The subdivision of Willow Wood is also conveniently located near Middletown, giving the neighborhood fantastic access to local shopping and amenities. In addition, Willow Wood has quick access to Interstate 64, giving residents the ability to get around Louisville and increasing the subdivision's appeal. Homes in Willow Wood are found just across the street from Douglass Hills and both neighborhoods tend to have similar appeal for home buyers. Homes for sale in Willow Wood typically range in price from $200,000 to over $325,000, and most homes in Willow Wood are constructed of brick, wood siding, vinyl siding, or stone materials. Willow Wood homes were generally constructed over 20 years ago and features designs current to that period. Many home owners in Willow Wood have updated theirs homes to include newer energy-efficient windows, energy-efficient heating and cooling systems, updated kitchens and bathrooms, plus extensive landscaping. Most homes in Willow Wood have two-car garages and basements that are sometimes finished to provide extra living space for the home owners. Willow Wood features wide, tree-lined streets with sidewalks and open green spaces, as well. 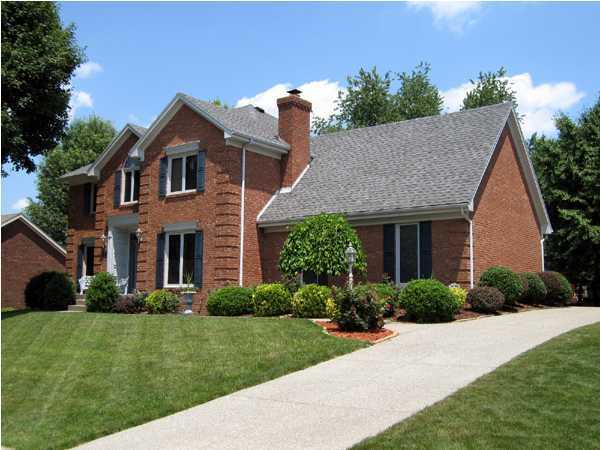 The area that surrounds the Willow Wood subdivision is very desirable for Louisville residents. With Shelbyville Road right front of the neighborhood, residents are able to enjoy shopping such as the Wal-Mart Market Center, restaurants such as Havana Rumba, and entertainment such as the Renaissance Fun Park. In addition, Interstate 64 is less than 3 minutes from the entrance to Willow Wood, so residents are able to drive to Downtown Louisville for work or entertainment in a very short time. Being in a good location helps Willow Wood be one of the most-desirable subdivisions in Louisville. If you are giving consideration to buying a home, give consideration to buying a Home for Sale in Willow Wood. You can search for Willow Wood real estate on the Louisville MLS listings found below.